Input devices are the tools that we use to get data an information into the computer in a digital format. 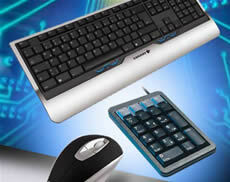 Examples include the keyboard, mouse, trackball, lightpen, scanner, webcam and joystick. The printable worksheet you can open below is ideal for a starter in a KS3 or KS4 (GCSE) ICT lesson or as an activity to leave for a cover lesson. 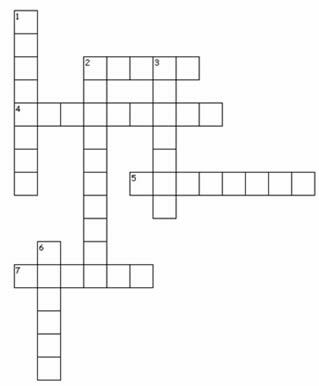 If students finish the paper-based crossword they will have the option of attempting to tackle the same set of questions in an interactive game. Click image to open crossword. A common hand-held device which controls the movement of a cursor. An alternative to a mouse. You roll a ball to control the movement. Made up of buttons and mostly used for typing. Used for taking digital photographs. A popular input device for playing games. Used for getting sound in to the computer. Used for making digital copies of things on paper. Allows the user to draw using a special pen. Teachers: Make it easy to give all of your students full access to all of the GCSE ICT activities in What2Learn by signing up and requesting a Class Pass.